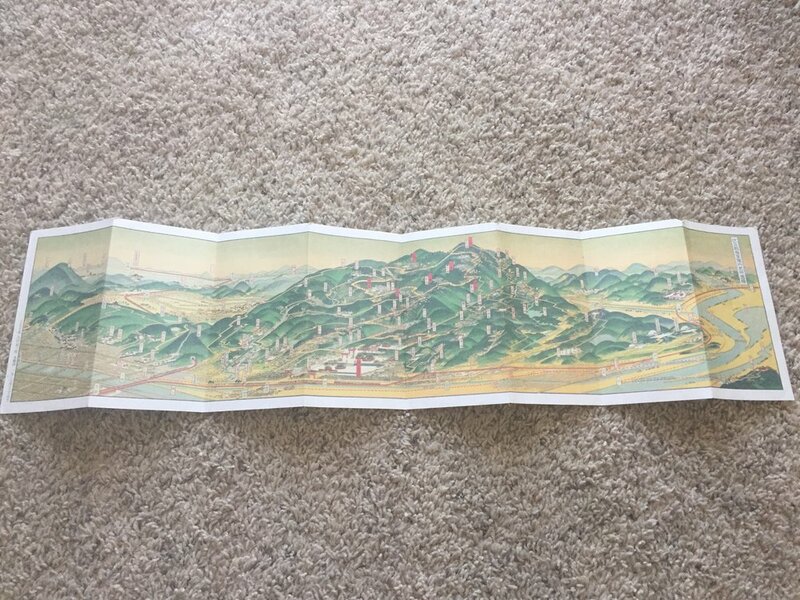 While I visited Japan back in July 2016, I picked up a bunch of different maps. Some because I actually needed them to get around, others because they were interesting. Especially here in America, I never use physical maps unless I need a really specific place. 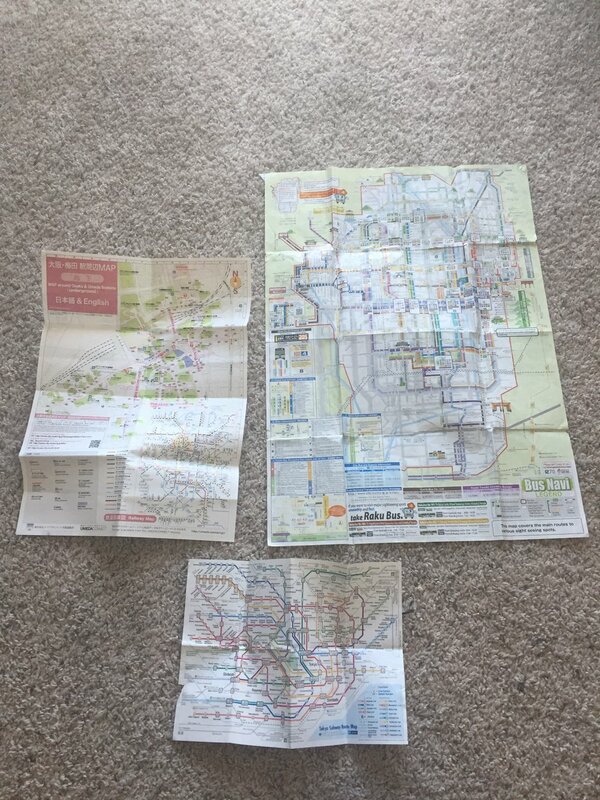 And I don’t see as many styles of maps unless I’m at a gas station getting a state map or getting a new hiking map. I mostly use a map app on my phone to navigate. I think map design is a lost art form that a lot of people don’t appreciate it. I always enjoy looking at old maps and comparing them to modern day maps to see how accurate they are. Sometimes they are, and sometimes…they’re really not. Cartography has been an interest of mine for a long time. I usually hand draw my maps to fantasy novels I’m working on in order to help visualize everything better. Antique maps are also really decorative and I appreciate seeing all the different icons and symbols they took the time to hand draw. One of the fascinating ideas because cartography is that maps always have a reason, but the bias isn’t always clear. For centuries maps were showing the world as they knew it, but they also showed lands that they thought existed but maybe did or didn’t. For example, two of the maps I got don’t post directions to anywhere. One is about where to get wifi in Kyoto, but only at specific locations. 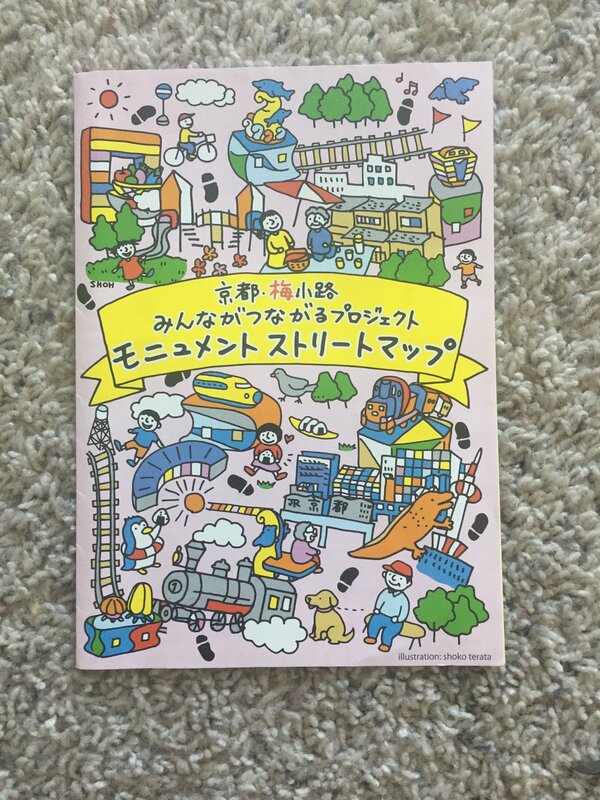 And another is about where to find train statues, but nothing else. I also love in the wifi map, the odd little man-bridges walking around. I’m not sure what that’s about but I think it’s pretty funny anyways. Anyone following a map knows that the map won’t always be a hyper realistic view of the world. After all, if maps show what is important and the bias are hard to tell, then it goes to say that you can’t expect a map to 100% be truthful. Maps display a flat, 2D dimension of our 3D world and are subject to creative flourishes. The first two maps I posted are supposed to help the viewer navigate Mt. Kurama and Mt. Inari, but they are made in very artistic view point. Mt. Kurama shows the back path of the temple to be long and winding, and for parts it was. But when I first climbed up it, it was really steep and narrow! The trees in the foreground of the map are very large compared to everything else, usually a sign of significance, but here, I think it’s just an artistic choice. Mt. Inari shows the mountain soaring into the sky and everything else flat and squished in comparison. But not everything was really like that. 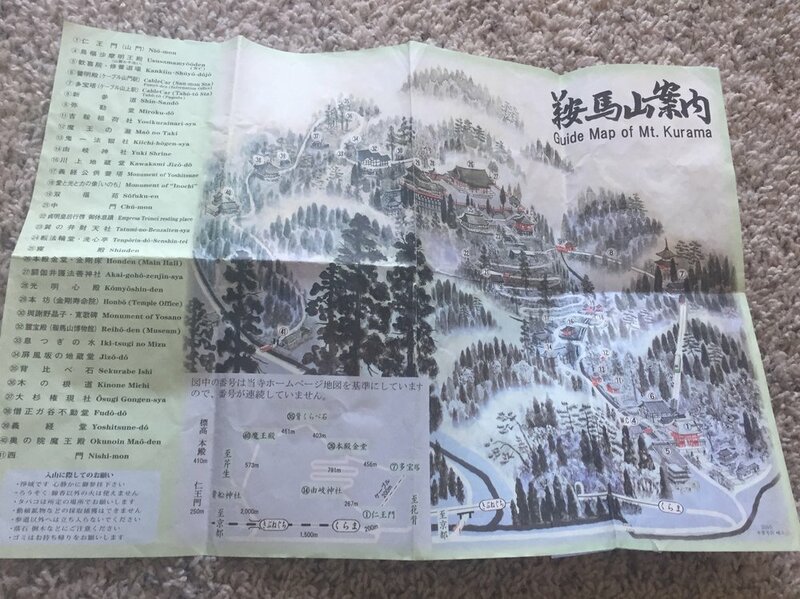 As illustrated in the Kyoto Central Map, not every symbol on some of these maps have significant value or meaning attached to them. Here I think some of the shops and food represented what stores and products they were promoting while the people were meant to be fun illustrations without any special value attached to them. 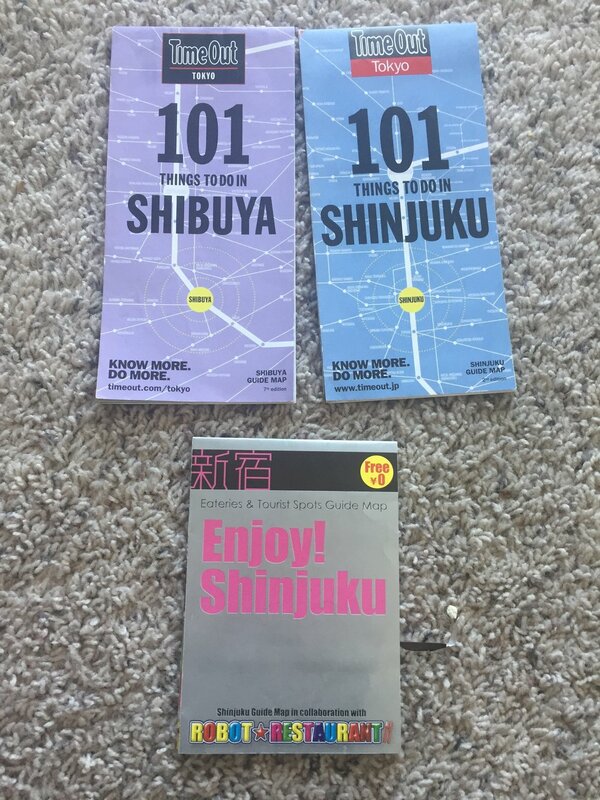 I would say overall, I picked up more creative maps in Kyoto vs while I was in Tokyo. 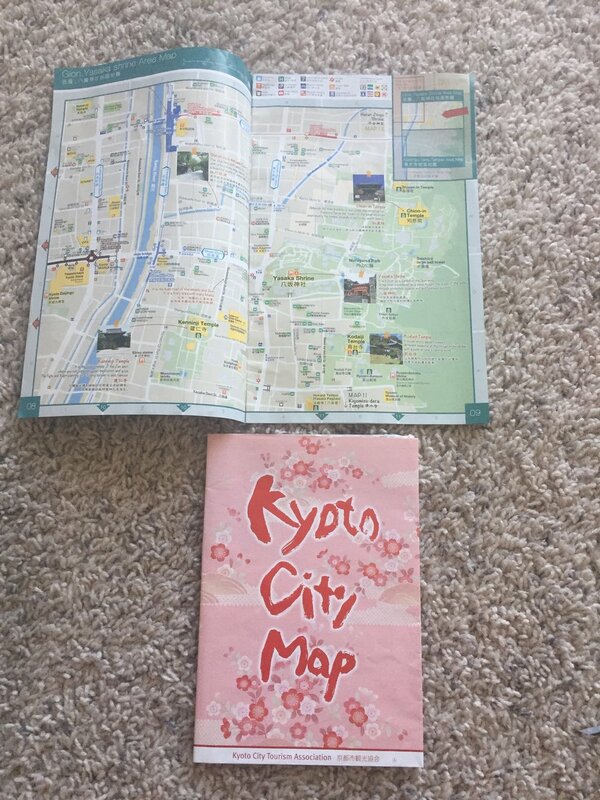 I was always on the look out for more fun maps like the ones I found in Kyoto, but the Tokyo maps were more functional then artistic. Maybe I wasn’t looking in the right spots. 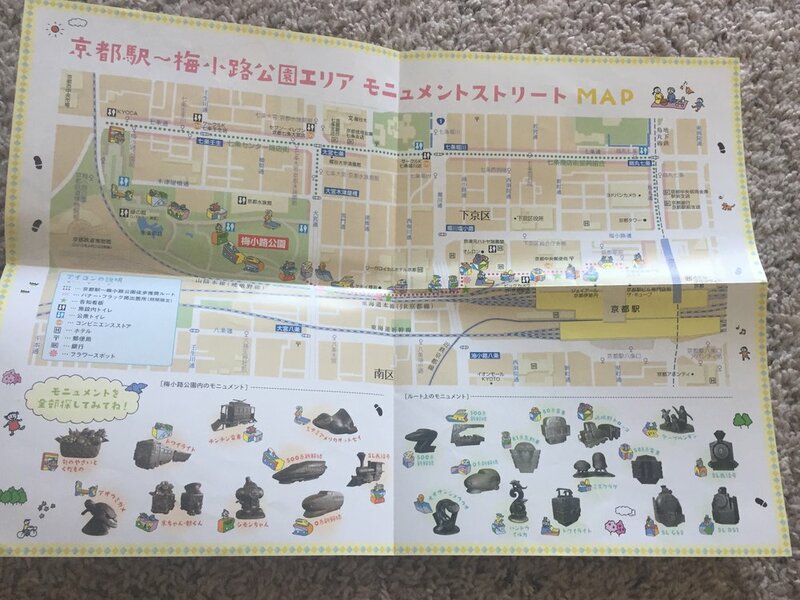 But I would say depending on the culture, it makes sense that Tokyo would have more functional maps then Kyoto does which has a rich history filled with legends and art. I also thought it was interesting that I was able to find so many maps for department stores. I don’t think I’ve ever seen them in America, but in Japan, I was able to find several. I think maybe it had to do that Tokyo and Kyoto are very tourist minded and so it makes it easier to find what stores you want when you have no idea how to navigate in the first place. I loved that I was able to find so many physical copies of maps and so many varieties at that. I think people not only have lost an appreciation for maps, but it is more difficult to read them. Especially since these days, when we want to go somewhere, we just pull up a GPS. 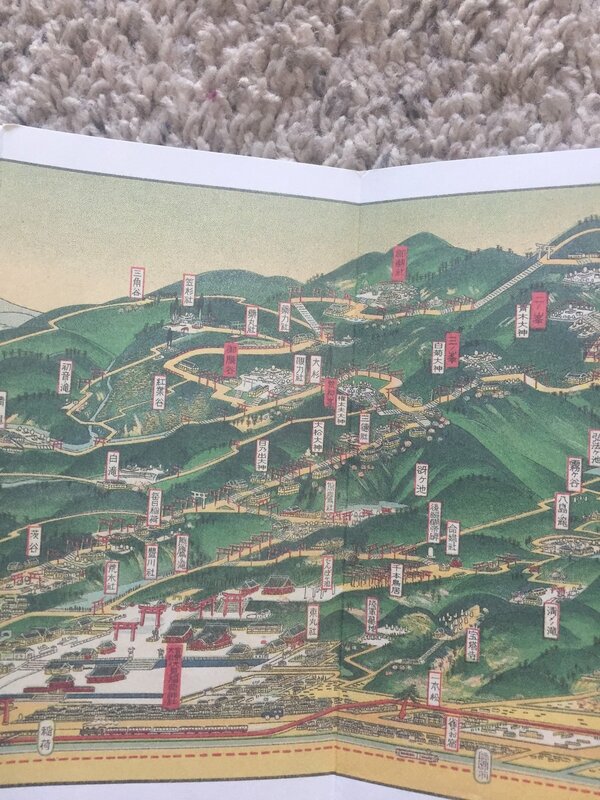 Therefore, I think that we have more freedom now to create maps like the ones I found in Kyoto. Where they help you get somewhere, but they are also designed to be beautiful and creative. That might help people want to collect maps more often and keep them around. And I think we can all use a little more fun and happiness in our lives, even if it comes from designing an everyday object like a map.